Home Beauty & Skin Care 7 Worst Foods for your Skin, Keep away from these! 7 Worst Foods for your Skin, Keep away from these! It is said rightly that a person’s diet is like a bank account and healthy choices act as strong investments. ‘You are what you eat’ and this particular saying goes true when it comes to having healthy skin. A delightful meal ought to bring smile on your face and not decrease the skin’s life. However, you must know that certain foods are capable of triggering acne and can make the skin itchy bumpy. 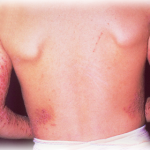 In addition, some foods can cause outbreak of rashes, eczema or hives. Alcohol as we all know is a powerful diuretic and this infers that the more you consume it, the more it will dehydrate your body. It even slurps the natural moisture from your skin, which makes it flaky and dry further causing wrinkles. 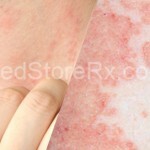 Folks having sensitive skin might even suffer from rosacea due to alcohol consumption. Are you a coffee buff? If yes, then you might have to rethink and stride easy on your cappuccino. Drinking two to three cups of coffee will increase cortisol levels (stress hormones) in your body. Increased cortisol levelsboost the process of ageing that can result in significant damage. As caffeine is a diuretic, taking the same in excess will dehydrate your body leaving the skin dry and dull. Though its affects are not that severe, milk does damage your skin to certain extent. Excessive milk consumption can cause acne. As per the American Academy of Dermatology, milk induces sebum production, which eventually triggers acne. Excess consumption of salt particularly iodized salt is very bad for your skin. 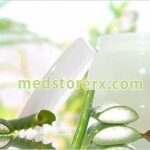 It inflames the tissues and results in bloated appearance. In worst scenarios, it might trigger severe acne outbreak. To render a shiny and healthy look to your skin, it is imperative to keep the sugar levels under control. Soft drinks are pre-loaded with excess sugar and thus, having these in excess will result in acne and skin dryness. Thus, try to limit the intake of carbonated drinks. Instead, resort to water or fruit juices to suffice the cravings for your favorite soft drink. Gluten is a kind of protein found in wheat as well as other grains that fall under the ‘Staple Diet of the United States’. Unfortunately, 5-10% of the entire U.S. populace endures from gluten intolerance. This causes several adverse effects, but the most noticeable ones occur on a person’s skin in the form of acne, skin dryness and swelling. A few of examples of gluten-loaded foods are oats, pizza, cakes, pastries, white bread and pasta. As these are quite difficult to ignore, but you ought to know that candies and chocolates are not good for your skin. Excessive consumption of chocolates inflates the levels of blood sugar, which straightaway paces up the sebum production triggering acne. Chocolates and candies even affect the elastin and collagen, which are essential for maintaining a radiant and young skin. So now that you are aware of the foods that are bad for your skin, it is time to curb their intake or stay from these as much as possible for maintaining a youthful, healthy and glowing skin.